The Finance Minister said that the government had amended laws to bring a speedy resolution of the bad debts of banks, including Insolvency and Bankruptcy Code, 2016 (IBC). Looking at ways to boost economy amid a slowdown, Finance Minister Arun Jaitley on Friday said that encouraging private investment and improving capacity of banking system to support growth are the two major challenges for which best solutions have to be found. “There are two major challenges – encouraging private sector investment and improving capacity of banking system to support growth. We have done adequate analysis as to the cause of these challenges,” he said addressing the 70th annual general meeting of Indian Banks’ Association (IBA) here. 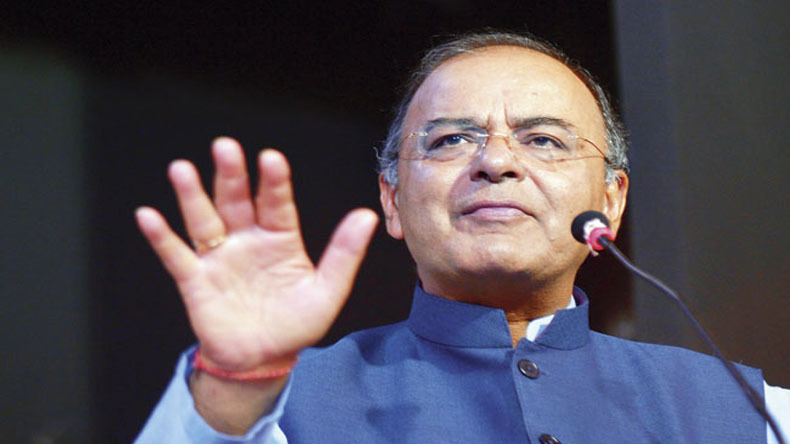 Jaitley said that there was also a major challenge with regard to increase in stressed assets. “I think this is the core area of concern today. India has adequately demonstrated its ability to reform, grow at a reasonable pace when world was going slow. Indian administration is supportive of reforms. India’s ability to face challenges in economy is much better, higher than what it traditionally has been,” he said. “IBC is now in full swing now. Speed is of essence. Resolution is to be made in good faith. Certain trust in the decision making of these institutions is essential. If we work on these principles, we should be able to accept some early harvest,” he said. Pledging support to the revival of the banking system, Jaitley said that all government efforts were directed to make banks stronger in terms of resources. “All government efforts, whether be it toward erosion of black money, Goods and Services Tax (GST), other reforms, have been to make sure that the ability of the state is strengthened in terms of resources… to find resources for the banking system,” Jaitley said. “I do believe that India itself has great resilience, which enables it to find solutions. Banks have very important role to play,” he added. Crediting the banking system for efficiently carrying out operations during demonetisation followed by the remonetisation process, he said that the banks with the constraint of time dealt with the large inflow of cash and distribution of new currency. “Implementing it in a few weeks starting from November, and do it conclusively was a great credit to the banking system. Banks were flooded with large deposits, they showed ability to deal with them,” he said. Jaitley said that demonetisation created a new normal wherein cash transactions have been visibly reduced and tax base has expanded. “Cash dominated transactions were sought to be replaced with alternate spending culture. There has been reduction in cash spending,” he said. He said that the new mechanism of indirect taxes — GST — was going smoother than expected and more people are likely to come under the taxation net. “The number of people coming within the (GST) network is likely to gradually expand,” he said.